Why do we travel? Alain de Botton suggests in his engaging meditation on this question, The Art of Travel, that it’s the human craving for variety that impels us to leave home and incur the headaches of exploring the world. If you’re like me, you’ve just made the transition from the slower pace of summer into a busy fall. Perhaps you’ve recently returned from a wonderful summer trip. In my family’s case, we enjoyed a week with close friends in Spain. Reflecting on this experience, it turns out that summer travel offers insights into what drives economic growth – and why official growth measurements understate how fast human well-being is improving in the contemporary world. One memorable experience on our trip was sampling a dazzling variety of olive oils, some quite different from anything we’d tasted here. We were just as delighted to enjoy a range of unfamiliar wines, cheeses, and tapas, as well as the distinctive art and architecture of Spain and the novel experience of watching World Cup games in a Barcelona bar. This quintessentially human appetite for variety accounts for a larger proportion of economic activity than most people realize. The leisure and hospitality sector alone employs 11 percent of the U.S. workforce, or 16.5 million people, and 16 percent of the workforce in Spain. And it’s growing fast. U.S. leisure and hospitality employment has grown 28 percent since 2010, compared to 10 percent for total employment. Wages in this sector, while relatively low, are growing faster than overall wages – 3.2 percent vs. 2.9 percent year-over-year in the last jobs report. 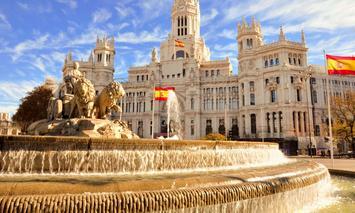 International tourist arrivals in both the U.S. and Spain have nearly doubled over the past 20 years. As a share of the U.S. economy, the sector has more than doubled since the 1960s. But our craving for variety energizes economic growth in more fundamental ways. Economists have found that the human preference for product variety, not just the desire to pay less for the same goods, motivates much of modern international trade. Others point towards a profound shift in human consumption towards goods categories that feature wide and growing variety. Also, a country’s GDP per capita is highly correlated with the variety of goods it produces. Most likely, causality runs both ways: wealthier people buy a more diverse basket of products, but economies that are successful in delighting people with a wide variety of products also become richer as a result. Conventional measures of GDP growth, moreover, don’t do a good job of capturing the spectacular rise in the variety of products and experiences people can now enjoy in a lifetime relative to the monotonous world of past generations. One meal is equivalent to another in the process of adding up GDP, but our family’s well-being meaningfully improved thanks to the foods and wines of Spain, some of which were notably inexpensive. Since a dollar of wages buys far more variety than it did two generations ago, “real” incomes have increased faster than the typically gloomy headlines in the news let on.